With the aim to promote the cultural evaluation of the Monumental Cemetery of Milan, the City Council organizes a series of events called Monumentale: Musei a Cielo Aperto (Monumental Cemetery: an open air museum). The events take place every first Sunday of each month, and they are curated by Fondazione Milano Scuole Civiche. 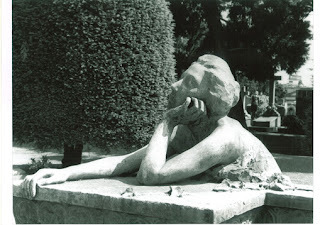 Students of the Scuole Civiche give voice to famous people resting at the Monumental Cemetery, staging short plays written and produced specifically for these occasions. On Sunday 4 October 2015, from 10 am to 6 pm, the Monumental Cemetery will host theatrical performances, music shows, guided tours and much more.